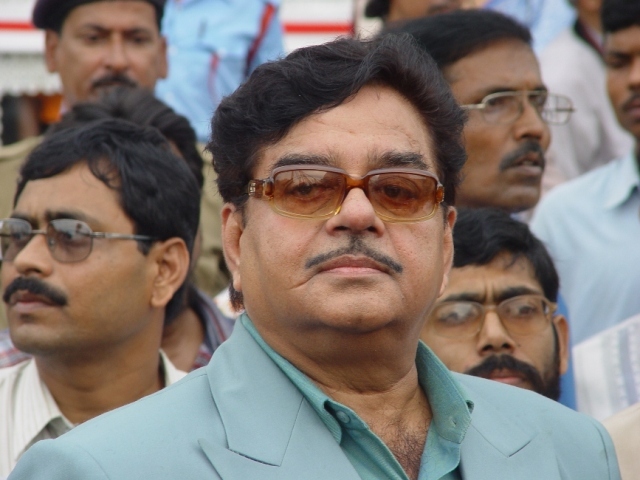 PATNA: Actor-turned-politician Shatrughan Sinha on Monday said he never wanted to quit the BJP but was forced to do so under compulsion. Sinha who won the last Lok Sabha polls as a BJP candidate from Patna Sahib seat in Bihar has now joined the Congress party. “I believe in the old adage of ‘once a friend always a friend’ but when I was denied ticket, then I read the writing on the wall and quit it,” Sinha told a news channel on Monday. According to him, the party didn’t have any communication and discussion over his issue. “Ek baar manane ki baat to door, kahane bhi na aaye (Let aside persuasion, they didn’t ever talk to me),” he said. He said the party leadership failed to act against him apprehending the action could boomerang owing to his popularity. “Shaayad meri lokpriyata ki wazah se nikalane ki himmat nahin hui,” he said. To a query, he said there doesn’t require any qualification for becoming a prime minister. “Anyone who does have required number of Lok Sabha seats can become a Prime Minister,” he said, replying to a question that the opposition didn’t have any Prime Ministerial face.